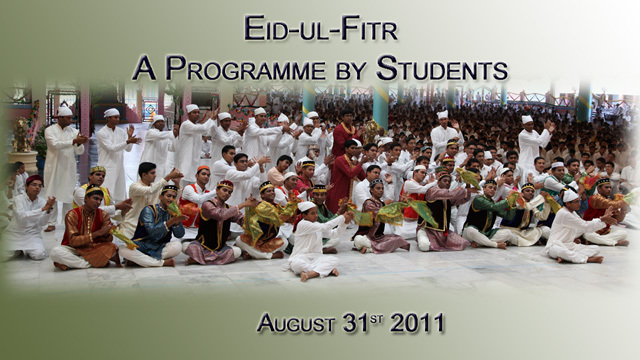 “Eid-ul-Fitr”, or the festival of charity was celebrated in Prasanthi Nilayam today. The students of Sri Sathya Sai Institute of Higher Learning perform educational and inspiring programme on this day every year and this year was no different. After the Vedic invocation, the programme started at 1700 hrs with Namaz, a prayer for the well being of one and all. After the Namaz, the students presented a skit with a story woven around the five pillars of Islam namely – Shahada (Faith), Salat (Prayer), Sawm (Fasting), Zakāt (Charity) and Hajj (Pilgrimage). “Eid-ul-Fitr”, or the festival of charity was celebrated in Prasanthi Nilayam today. The students of Sri Sathya Sai Institute of Higher Learning perform educational and inspiring programme on this day every year and this year was no different. After the Vedic invocation, the programme started at 1700 hrs with Namaz, a prayer for the well being of one and all. After the Namaz, the students presented a skit with a story woven around the five pillars of Islam namely – Shahada (Faith),. Salat (Prayer), Sawm (Fasting), Zakāt(Charity) and Hajj (Pilgrimage). “My Life is My Message” is probably the most powerful quote of Bhagawan who always lived His life as an example for humanity. Respect to the mother, motherland and mother tongue were among the high principles He practised and taught. 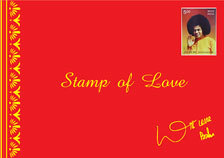 Therefore,, Bhagawan always encouraged His students to learn the folk arts of the land. Burrakatha sessions in Prasanthi hold a special significance, as, on most occasions, it is Bhagawan who ‘demands’ the same, selecting the theme and title by Himself. Ever since it’s grand entry into the precincts of Prasanthi Nilayam, this popular folk art of Andhra Pradesh has earned the status of ‘Divine Folklore’, earning the attention and grace of Bhagawan. 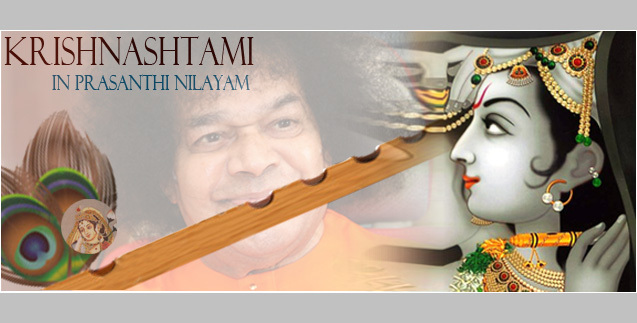 Krishna Janmashtami, the day denotes the birth of Bhagawan Sri Krishna was celebrated with much religious fervour in Prasanthi Nilayam on 22nd Aug 2011. Srikakulam had an opportunity to continue their programme today with a Dance Drama entitled “Siva Leelalu”. The presenter informed the assembly that Bhagawan has been blessing the Balvikas children for the past 5 years to perform in His presence. This year the children were guided by Sri Raghupatruni Srikanth, an internationally renowned Kuchipudi dancer. He has won over 8 Gold Medals in National competitions, performed in various countries including Singapore, Dubai and Sri Lanka and has been recognised by the Guinness Book of World Records. Srikakulam, the pioneers of Parthi Yatra have arrived on their yearly pilgrimage to Prasanthi NIlayam. They were the group who started the concept of district wise holy trips to Parthi way back in 2001. The programme started with Vedic invocation by students at 1630 hrs. At 1700 hrs, the State Sevadal Coordinator, Sri R. Lakshman Rao with his poetic speech took a trip of nostalgia recounting the numerous blessings, the Srikakulam district has received from Bhagawan with special emphasis on the discourse given by Bhagawan in 2005, where He taught them the advaitic lesson of I am I. Sri Rao also gave a status report of the various projects undertaken in the district under Bhagawan’s guidance. A group of 126 from the Central European country of Poland presented a musical offering at the Sanctum Sanctorum of Sai Kulwant Hall on Aug 20th evening in Prasanthi Nilayam. The group that has come on a Sai Pilgrimage comprised of 35 gents and 91 ladies.